Leslie Preston’s massive reds and spectacular rieslings are buoying Idaho’s nascent wine industry. ARGUABLY, THE PINNACLE of the American wine industry is Napa Valley, and within the 27-mile-long valley, perhaps the most exciting corner is the Stags Leap District. You make it here, you can make it anywhere. Even all the way to Idaho. That might seem a strange and winding road, but it’s the path that Leslie Preston, owner of Coiled Wines in Garden City, Idaho, has taken. She is producing some of the most vibrant and exciting wines in the Northwest and buoying Idaho’s nascent wine industry. Coiled Wines 2014 Black Mamba Red Wine, Snake River Valley, $30: The powerful blend continues to strike deeply with petit verdot, and there’s a dark fruity expression throughout, starting with aromas of blueberry, blackberry and a whiff of Dad’s Root Beer Barrel candy, backed by vibrant tannins. Coiled Wines 2015 dry riesling, Snake River Valley, $17: A clean, refreshing and spicy white that shows the potential of Idaho riesling. I’m excited to see how this will age. Coiled Wines 2014 Sidewinder syrah, Snake River Valley, $28: Reminiscent of Côte-Rotie with aromas of smoky game meat and juicy blackberry jam, followed closely by flavors of marionberry pie, cocoa and spices. After Boise High School, Preston studied romance languages at the University of Oregon, then taught French Literature at the University of California-Davis. Inspired by so many of her students who were in the school’s famous wine program, she switched her focus and earned a Master’s degree in winemaking. She worked in Sonoma before landing at famed Stags’ Leap Winery in Napa as an assistant winemaker. As she and her husband started their family, she felt a tug to return to Idaho. In 2007, the federal government approved the Snake River Valley as an American Viticulture Area. Preston took that as a sign. After talking her husband into leaving Northern California, they moved to Boise. Preston launched her new winery and, fearful of snakes, played off the Snake River Valley to name it Coiled. 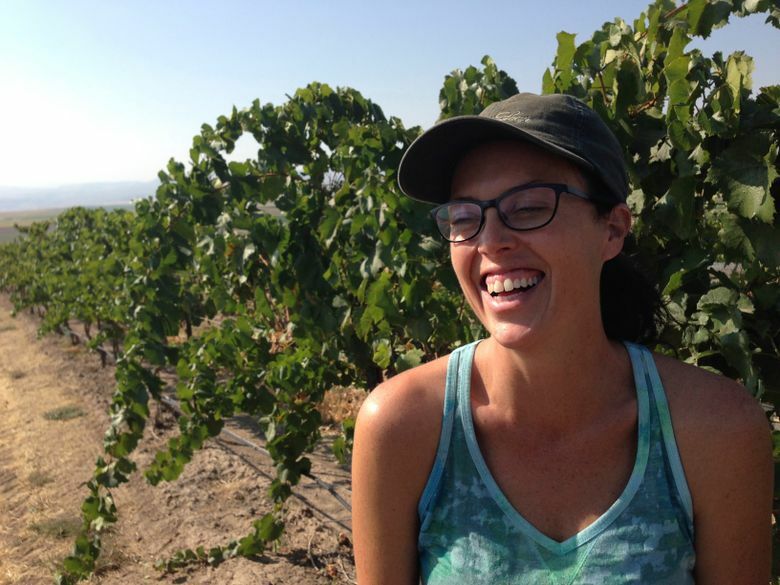 For the first few years, she made her wines at Cinder Wines in Garden City — a suburb of Boise. Last year, she moved her production and tasting room to Telaya Wine Co.’s new facility, nearby along the Boise River. Preston makes massive, delicious reds, but has a well-earned reputation for riesling. She crafts a bone-dry riesling that’s among the best in the Northwest, and two years ago launched a crisp sparkling riesling called Rizza, a nickname for riesling in Australia. It is spectacular. She seems poised to join the elite riesling producers in our corner of the wine world. She also brings with her the skills needed to continue the rise of the Idaho wine industry from relative obscurity. Coiled Wines aren’t widely distributed in Washington, but Preston is happy to ship to Washington residents. Her wines are well worth that effort.